Atchison County Missouri is located at the northwestern tip of Missouri. 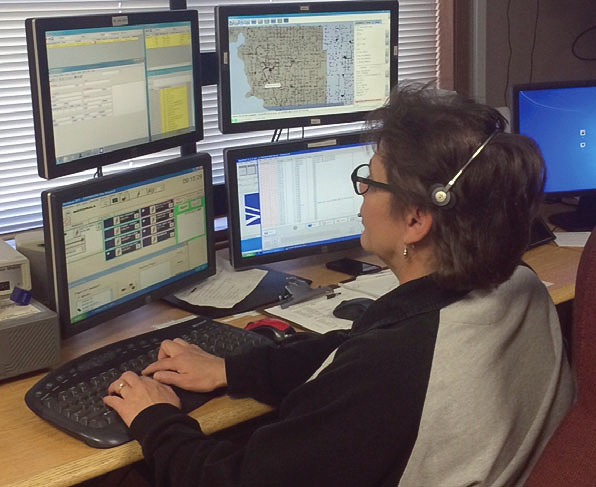 Although their population is under 6,000 residents, the Atchison County 911 Center uses a state-of-the-art CAD System from Computer Information Systems, which been “live” since December 2011. The Center is 24 by 7 by 365, and is operated by 8 staff, including Atchison County EMA/911 Director Rhonda Wiley. Director Wiley explained their procurement process. Director Wiley credits the CIS CAD System with automating all their information. The single most important CIS CAD System function that Director Wiley identifies…. Director Wiley summarized her feelings about the Atchison County 911 Center and CIS’ relationship.